At what point do you admit that you may need help as you age? Most of us would prefer to stay at home rather than move into a residential or nursing home, so now may be a good time to examine your care options, and consider any potential risks. First, Is It Time to Consider Care? You need daily help. Do you struggle to use the bathroom by yourself, or to get dressed? Or perhaps you need help getting out and about and doing the shopping? Maybe you already have some home help but it’s starting to feel that it just isn’t enough. You are getting confused. Have you noticed you’re starting to forget things or become a little confused? Maybe you’ve been diagnosed with mild dementia, and know you will need additional help. Staying at home in a familiar place will be less traumatic than moving into a care or nursing home, and a live-in carer can help you stay there. You are feeling lonely. Loneliness is a real epidemic among the elderly and can blight your remaining years. Having a live-in carer can offer companionship and the company you crave. You are neglecting your meals. As we get older our nutritional needs increase, right when our willingness or ability to slave in the kitchen reduces. Part of a live-in carer’s job would be to cook nutritious healthy meals. Your family member or normal carer needs a break. Caring for a family member can be exhausting and may not leave much time for a life. Live-in care is also available temporarily to cover for a primary caregiver’s holidays or breaks. More: Read our articles on what a carer can do. Perhaps the true benefit of live-in care is the flexibility to manage and cater for a range of conditions and ailments. Care should be tailored to your individual needs as opposed to a ‘one size fits all’ approach that you may see in a care home. Be aware that there are different levels of live-in care available – which would support you best? 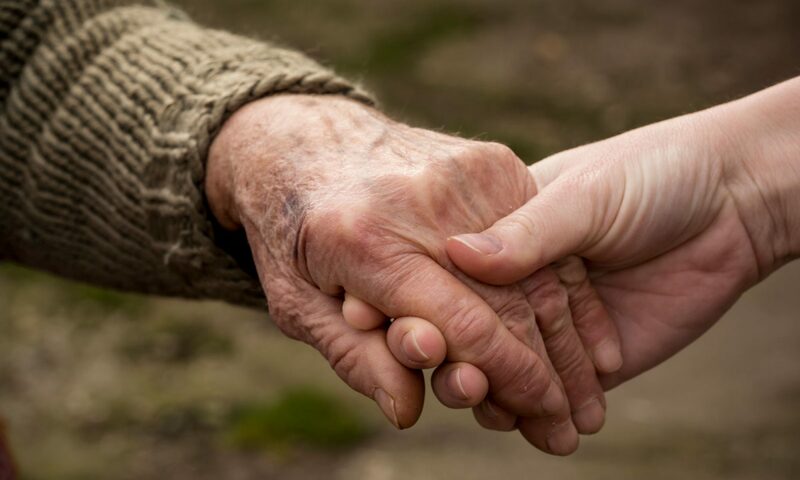 Long-term care: Long-term care is suitable for people who want to stay at home and need support to do so over an extended period of time, or who need companionship. The care and support you receive from a live-in carer can help you to continue enjoying your hobbies and living your life from the comfort of your own home. Short-term care: Short-term care is more suitable for anyone who needs temporary assistance at home, perhaps if you’re suffering from a condition with fluctuating symptoms, such as arthritis or Multiple Sclerosis. Temporary live-in care can be provided when your symptoms are bad, and lifted when you feel able to cope again. Respite care: Respite care is usually provided when a loved one or family member wishes to take a break or have a holiday. Hiring a live-in carer to take over the role while your loved one is away helps to ensure continuity of care, and to give peace of mind to both of you. Hospital recovery care: If you have recently had a traumatic injury such as stroke or heart attack, or are recovering after a fall, accident or operation, you may wonder how you’ll manage living back at home. Often this is when families feel forced to consider residential or nursing care, but many live-in providers also offer hospital and post-operative care in your home. Trained carers will help your rehabilitation, liaise with health professionals and help you get back into your daily routine. Nursing care: Many live-in care providers can also provide specialised nursing care should you need it, with carers trained in conditions such as dementia, Alzheimer’s, Parkinson’s, stroke, spinal injuries, neurological conditions and more. Palliative Care: Should you need end of life care, live-in carers offer palliative care, helping individuals with terminal, incurable or life-threatening conditions to live their final stages of life at home. It’s very tempting to hire someone you know to watch over you or to hire a live-in carer independently. It would certainly save on agency fees, making live-in care more affordable, but it carries some risk, not to mention a lot of hard work and legal and financial responsibilities that you might not want. We’ve all heard the stories: people who should not work in the care industry somehow slip through the cracks, either through private hire or because an agency has not performed all of the background checks they should. Elder abuse is rare, but it does happen. You are giving this person the key to your home, access to your personal belongings and treasured possessions, not to mention a great deal of your trust and access to you 24/7. Do you really know who they are? If you hire privately, be prepared to put in a lot of work to check references, organise a DBS check (formerly the criminal records check) and to ensure they are legal to work in the UK. Ask for contact details of former clients and try to speak to them or their family members in person to double-check your potential carer’s history. Also be prepared to double-check their qualifications too. If you hire a live-in carer privately, you act as their employer and must put together an employment contract, pay their salary, sort out National Insurance and tax, and potentially pay pension contributions. You should also check your household insurance to ensure it covers potential liability if the carer is injured in your home. It’s a lot of hard work and paperwork that you really might not want to, or be able to, arrange. Does your live-in carer have the correct training and qualifications to help you? Even if they do, will they continue to have them moving forwards if your care needs change? Someone with training and experience in dementia care, for instance, may not be experienced in end-of-life care, or in dealing with any other condition that you have. It is crucial that your care plan be flexible and evolving as you age; a private carer may not be able to give you that. If you hire someone yourself, who will supervise their care of you, who will make sure they perform their job adequately? This is especially important if you are suffering from mild dementia or any condition that might get worse over time. You may need someone to ensure the carer is not mistreating or neglecting you. Do you have a family member who would be willing and able to do this? If that’s not possible, you should perhaps consider hiring via a reputable care agency who should keep an eye on their carer on your behalf. An agency too would arrange cover for holidays and carer illness, otherwise you might be left alone with little notice or have to scramble to find a replacement carer. A lot of the above issues can be ameliorated if you hire via a reputable care agency. Depending on the service you choose – full managed or introductory – an agency will source, train and run background checks on potential candidates, and potentially oversee their time with you. Find out more about Live-in Care Agencies and Providers. Live-in care may sound like the ideal solution to all of your problems, but you must be honest with yourself. Just because you want live-in care doesn’t necessarily make you the best candidate for it. Is your health condition too advanced, for instance? Likewise, just because a carer moves into your house does not make it 24/7 care. A carer will still expect to be able to sleep 6-8 hours each night; otherwise they couldn’t do their day job. If you need more night-time help than that, you may need to consider hiring two carers to take shifts, or admit you would benefit more from residential care. Before you even begin to think about live-in care, be honest with yourself: can you stand the thought of someone else living in your house? Someone else sharing your kitchen, bathroom, living areas, being around when you might just want some privacy? How will you adapt? People receiving in-home care often worry that their belongings may be stolen, though this is much rarer than people might expect. It does happen, however, so it is something to consider. You can take the risk out of this by locking up your belongings and by doing your homework on potential care providers. Keep a close track on credit and debit cards and any petty cash that you ask your carer to look after or arrange services with. If you hire your carer via an agency, there should be procedures in place such as a pre-loaded debit card to protect you from theft. When arranging care costs, there are potential risks around finance and whether your money will last long enough or be enough for the care you need. Will I Have To Pay For My Own Care? Funding Options for Paying For Care?